Apply for our 2018-2019 Residency! If you're interested in applying for the 40th Street Artist-in-Residence Program, please read below. This same letter, along with the application, can be found HERE. on September 1, 2018 and ends on August 15, 2019. Please note that this application is due on Monday June 4, 2018 at 11:59pm. The site will not accept submissions after that time. We will alert ALL applicants by Thursday July 5, 2018. 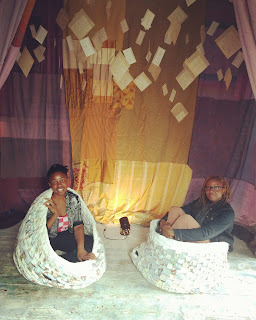 • To address the need for studio space in West Philadelphia by offering studios rent-free, on a rotating basis, to visual artists who reside in/are strongly affiliated with Philadelphia neighborhoods west of the Schuylkill River. • To assist in the career growth of new and emerging artists and those whose work has not been recognized in mainstream venues. • To enrich the 40th Street area by placing artists here and allowing them to share their talents with members of our community. If accepted, you will be given a studio space at either 4007 Chestnut Street or 4013 Chestnut Street beginning September 1, 2018 and ending August 15, 2019. You will be encouraged to use that time to develop your own creative work. In exchange, you will be asked to share your talents with West Philadelphia through about 40 hours of outreach service over the course of the residency. 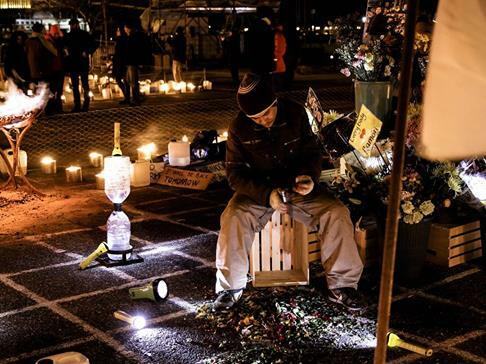 Examples of outreach projects include a public installation, a workshop, or a class. You may work at a school, prison, hospital, nursing home, etc. Administrative and modest financial support will be provided. In addition, all residents will have opportunities to work together to plan group exhibitions. Monthly resident meetings (or fewer/more when necessary) will facilitate this while creating opportunities to foster community within the program. In addition to collaborating with your fellow residents, a student intern and a part-time facilitator will help to coordinate efforts, including outreach, gallery activities, publicity, maintenance, etc. • You must be a new or emerging artist. This does not necessarily mean that you are a recent college graduate (though it’s fine if you are!). You can be any age, at any education level or type, and at any stage of life. What we mean by emerging artist is someone who has not had a private studio before, or has had one but for under a year, and has not had a solo exhibition at a major gallery or museum. • You must have a close relationship to West Philadelphia, meaning you live, work, volunteer, and/or create art here. In the application, we ask you about this relationship. Please be as detailed as possible. • Full time students may not apply. • Former 40th Street artists-in-residence may not apply. • Groups may not apply, though collaborative duos may apply. Our studios cannot accommodate more than two artists at a time and applications submitting by groups of more than two will not be accepted. • Artists who have applied in the past and were not accepted may re-apply. Our sites are not live-in facilities. The studios are available at all times, but the buildings are shared; you must be considerate of other tenants. The spaces can accommodate a variety of creative activities, including painting, drawing, sculpture, installation art, photography, puppetry, and fiber art. The studios are too small for dance. Ceilings in most studios are high (approximately 12 feet in some areas); rooms range from 150-300 square feet. Some areas have ample natural light, while others do not. The studios are not furnished. The buildings have small back yards that may be used for assembling larger works, or as a place to exhibit sculpture. The spaces have ventilation, running water, and 120- volt AC outlets. However, the facilities will not accommodate highly toxic chemicals, welding, or very high-powered electrical equipment. Note also that within the spaces, there is open access to different work areas; we count on residents to show respect for others’ property and privacy. FREE Coil Bowl Workshop for Teens and Adults Oct 24 on 52nd Street! Join artists Petra Floyd (40th Street AIR '16-'17) and Joy Ude at the Lucien E. Blackwell Library (125 South 52nd (52nd St. and Sansom St.) ) to learn basic coiling techniques to transform plain cotton cording into colorful coiled bowls! This FREE workshop is a great starting point for textile and fiber beginners, but will also give advanced students new approaches and skills for surface design. This workshop is presented with the support of the 40th Street Artist in Residence Program. We are located in TWO buildings---4007 Chestnut first floor where you will find Artist Liaison Wit Lopez and guest artist Lorraine Glessner (in the gallery) AND 4013 Chestnut first and second floors where you will find the studios of residents Khiry Worrell, Muthi Reed, Santiago Galeas, Josh Graupera, and Margaret Kearney! Learn about their artistic process, buy work, and maybe even make some art. Refreshments will be provided at both buildings. 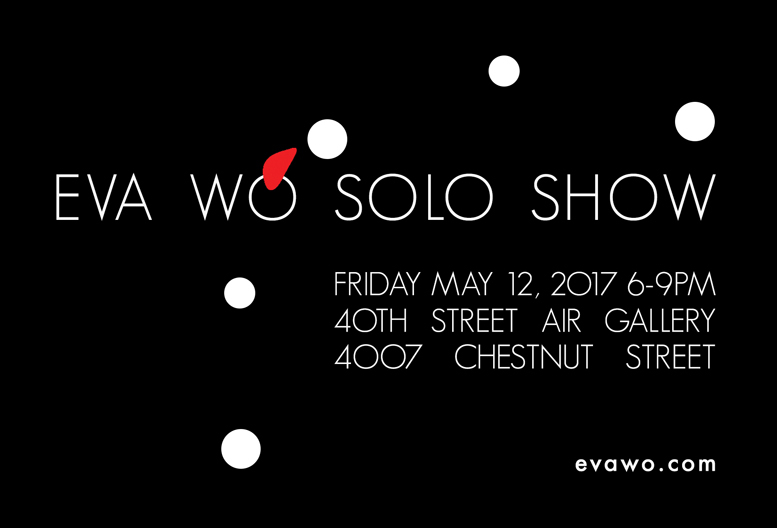 as resident Eva Wo opens her solo show! 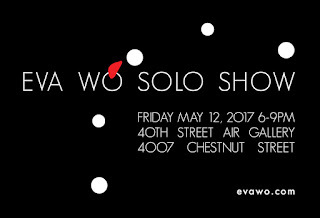 at our gallery, 4007 Chestnut Street, first floor. 6-9pm. Now accepting applications for our 2017-2018 residency! Time to apply for the 40th Street Artist-in-Residence Program (aka AIR) 2017-2018 residency! Click HERE to learn all about our program and this year's application process! Applications are due Monday May 22, 2017 at 11:59pm. We are writing to humbly request help for one of our alumni and friends. Brujo de la Mancha, a supremely generous and talented artist, musician, scholar, and community worker who was a 2014-2015 40th Street Artist-in-Residence and our 2015-2016 Artist Liaison, has been working with the U.S. immigration system for 15 years but has hit a wall and, sadly, needs to look for home elsewhere. He is in the process of applying for a visa that will allow him to live in Canada, but he needs at least $10,000 for fees, tests, and savings account requirements. Many friends are pitching in to make sure Brujo can get to Canada and start his new life in peace so we ask that you join our efforts however you can. Please read below for info on Brujo, an online fundraising campaign, and two benefit events.